If you had wanderlust 1000 years ago, you needed a boat. If you were about to go on a “Viking”, you needed a very stout boat. The major “Vikings!” exhibition which opened this weekend at Edinburgh’s National Museum of Scotland reveals that these Norsemen took the name we know them by from what they did best – and that’s not what popular myth would have you know. They were “Voyagers!”. They needed good boats. There are many famous displays of remarkable surviving Viking ship remains, particularly at Oslo, Norway and Roskilde, Denmark. 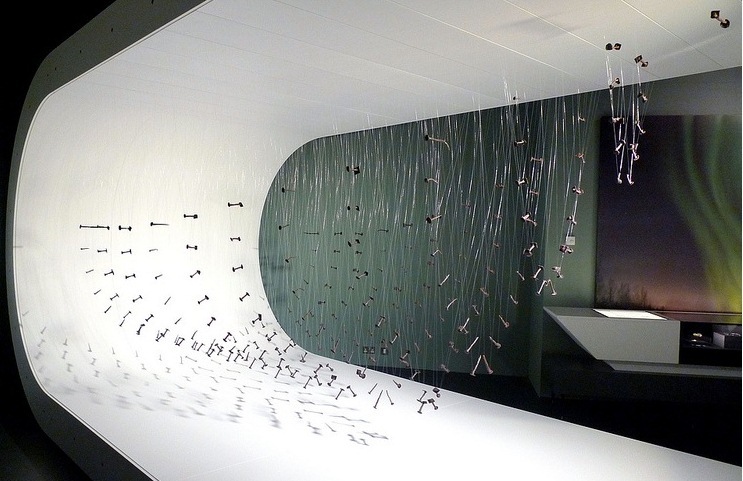 But we have never seen the art and craft of wooden boat building displayed in such a surprising way – a living ‘lines drawing’ of fastenings. 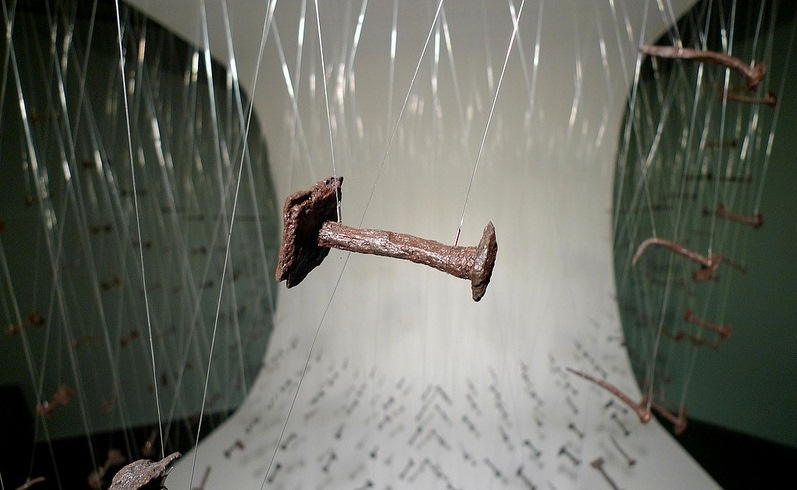 Only the metal parts of this boat survived, its rivets and nails now suspended in time and space – as if in a spider’s web – all correctly positioned. These Vikings pretty much perfected the technology employed in building such boats; any subsequent evolution was only subtle. 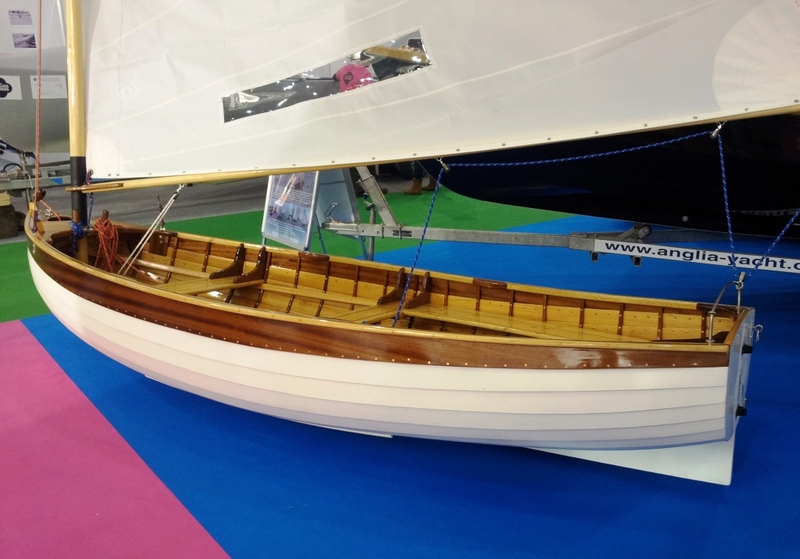 Jimmy Furey isn’t doing it much differently, or Adrian Morgan in Ullapool, or the builders of this pretty International 12ft Dinghy recently spotted at London Boat Show (it wasn’t hard to spot). Of course, during G.L Watson’s career the art and science of yacht designing was placing new demands on the art and craft of boat building as yacht designers played with the various forms possible for a pleasure yacht. And there was increasing experimentation with “new” materials: alloys of aluminium, bronze and steel. But the fundamentals remained, and remain the same. 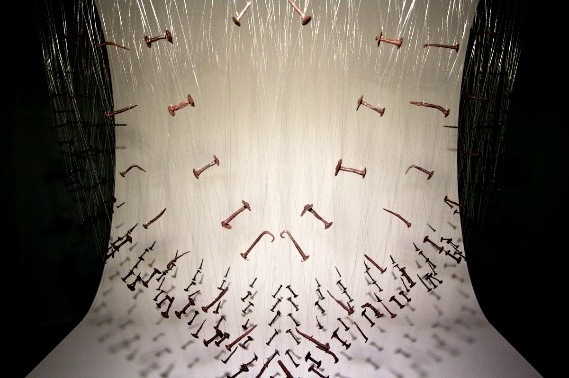 The “Vikings!” exhibition at the National Museum of Scotland in Edinburgh runs until 12th May. This entry was posted in art, boatbuilders, Edinburgh, G.L. Watson, object of desire, rowing, Sail and oar and tagged Adrian Morgan, National Museum of Scotland, Viking Boats of Ullapool, Vikings!. Bookmark the permalink.